I would have to read this "currency language" in context to see if it is legitimate or not. I just wrote a huge, insightful comment here, and the blogger or my web browser, ate it. I am furious. Anyways, the gist was: Rosary is great, your blog is great. Insert theological profundities, wax poetic, etc etc. Man, I feel u bro! I can't tell you how many times that has happened to me. This comment thingy is shoddy at best, which is why I always highlight and copy what I write before I try to publish it. I look forward to future theological profundities. All of the links should work now. I appreciate you taking the time to present the links, but I am one of those people who read anything, everything, and always. I think I've read most of your offering list. My comment is that there are other, sometimes more in depth, current words on the rosary. I recall a couple of years ago I Googled on "Rosary Meditations" or some such thing and found many words of deep insight which helped my prayer life, putting more meaning into my praying of the rosary. 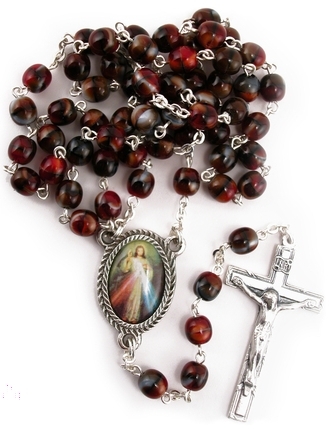 The rosary is a meditation, a deeply personal prayer. I've found words or phrases of others which trigger leading my mind and heart into its depths. Learning about the rosary is good; reaching its depths is, well, joyful. DNBA ... I agree! I tried to be as comprehensive as possible with my offering here, but I undoubtedly left some things out. If you have any links that you think I should add, just let me know.